It’s hard to believe a year has passed since last years Halloween tea showdown, but alas indeed it has. Once again tis the time to get down with our spooky selves and have a ghoul of a time. My Halloween celebrations are somewhat a tradition, this year will be no different. What’s the plan? Take car. Go to mum’s. Kill Phil [“Sorry!”], grab Liz, go to the Winchester, have a nice cold pint, and wait for all of this to blow over. Sorry, wrong plan (and yes, that was a Shaun of the Dead quote). Actual Plan : Dress up, watch horror films, eat crap, drink copious amounts of tea and scare the living daylights out of anyone brave enough to knock on my door for sweets. 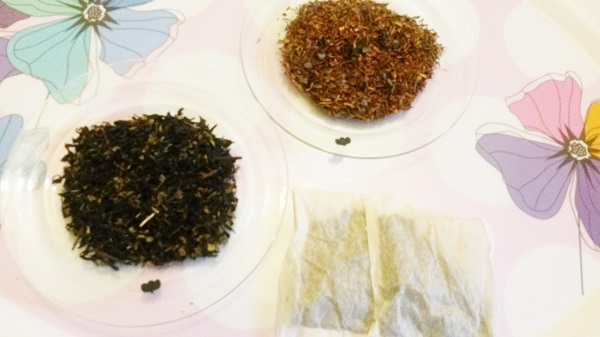 I have selected three teas for this years showdown which have been sent to me by friends on Steepster. 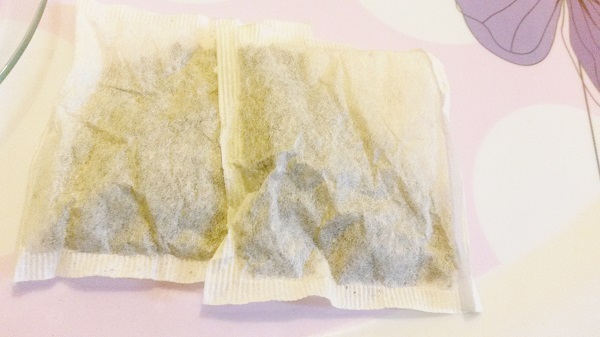 Two are the same tea though with different bases, I thought the comparison would be nice. 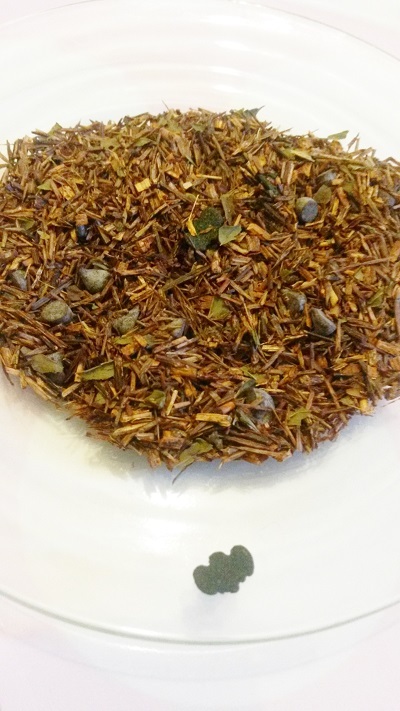 We have Bats in the Belfry – black from Della Terra Teas, Bats in the Belfry – Rooibos from Della Terra Teas and Sweet Harvest Pumpkin from Celestial Seasonings. 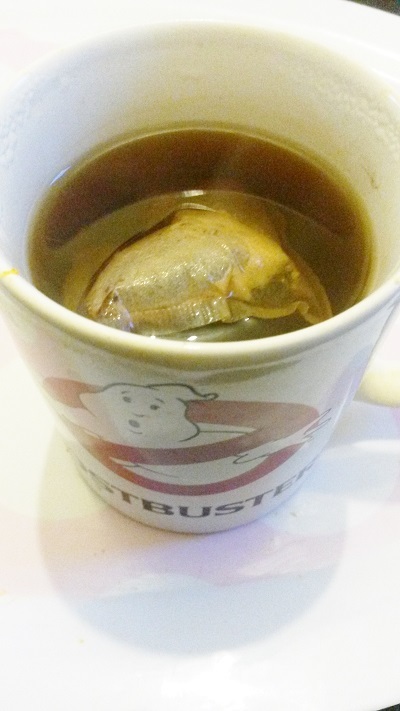 The Sweet Harvest Pumpkin tea is a teabag though I am not holding judgement before I actually sample it. 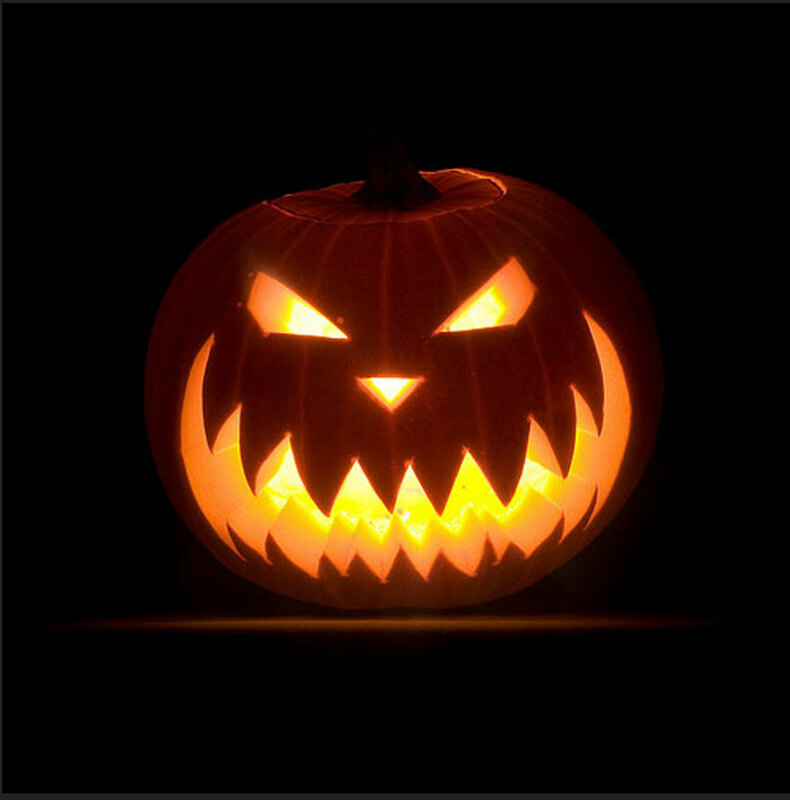 Here in the UK the majority of people only use pumpkins as Jack O Lanterns and throw away the insides. I have plans for mine, first I will make pumpkin soup which was a request from my husband before using the rest of the pumpkin in cupcakes (similar to carrot cake) with orange frosting. 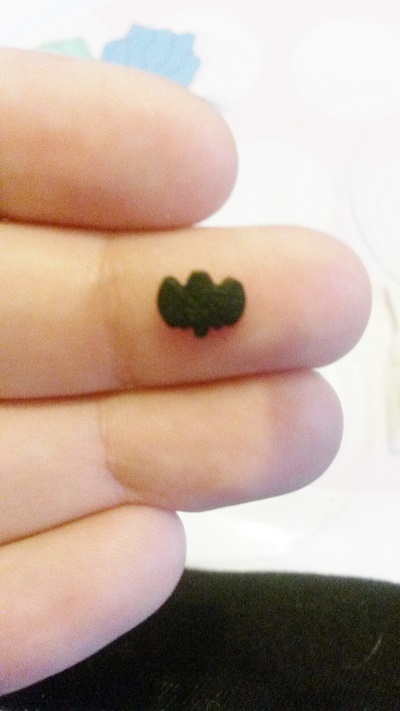 The bat sprinkles are super cute! The blends raw scent is of smoky wood and cocoa. Sweet though sour . 1.5 tsp of blend put into an empty tea sac with boiling water for 4 minutes. 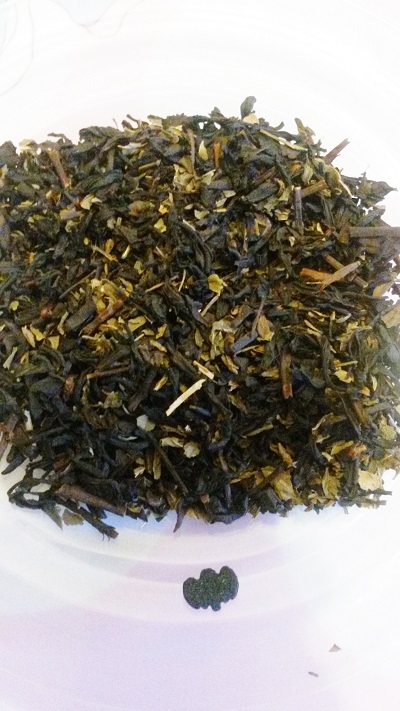 Steeped scent is strongly vanilla and malty. Flavour is medium strength with sweet and creamy vanilla tones, light malt and smoke tones and a minty after taste. Quite a lot going on though at a decent balance. The chocolate is not very noticeable though it may be part of the malt like flavour i can taste. Due to the vanilla and mint it reminds me of hard boiled sweets, kind of like candy cane. The blends raw scent is of cocoa. Sweet though with a light herbalness. Steeped scent is strongly of rich cocoa. Sour and dry. Flavour is dark, rich and smoky with dry cocoa, sweet vanilla and subtle mint tones. It tastes like mint chocolates. 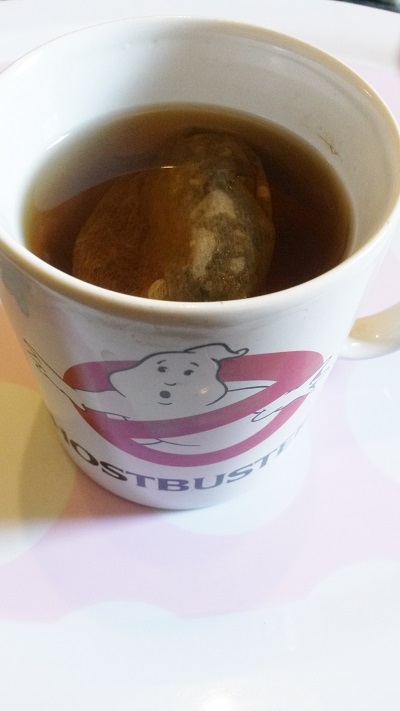 It would seem the base change from black to rooibos has made a grave change (har har). Ingredients:Black Tea, Cinnamon, Ginger, Roasted Chicory, Natural Pumpkin Flavour With Other Natural Flavours (Soy Lecithin), Luo Han Guo, Cloves, Nutmeg, Natural Sweetener (Stevia Extract) and Pumpkin. The blends raw scent is of cinnamon bark, dry pumpkin and ginger. 1 bag in boiling water for 4 minutes. Steeped scent is thickly and sweetly cinnamon stick with a touch of clove and ginger. Flavour is super sweet (like 10 sugars sweet) with a dry cinnamon and clove taste. It’s sweetness is too sweet for me, compared to it’s spicy tones it’s refreshing, brings out the clove. So sweet cinnamon and clove…not quite Halloween but rather reminding me of Christmas. After half a cup it gets sweeter and becomes harder for me to drink. I love strong cinnamon teas but it’s the pure sugar sweetness I can’t handle. It tasted like a cocoa drink with a difference, and one that left your mouth feeling refreshed yet yummy! 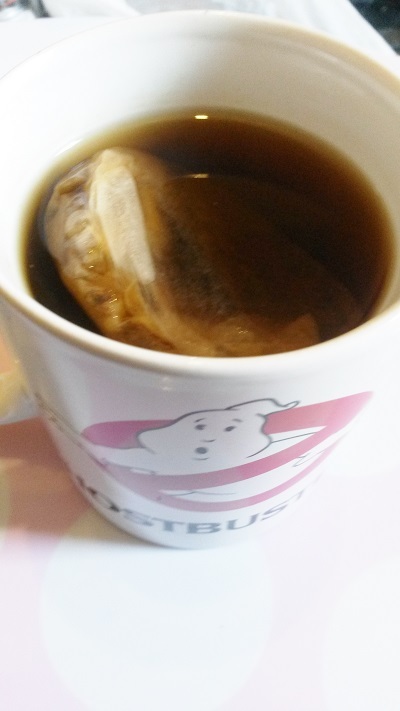 Despite it’s rooibos base (for which I am usually not a fan) this balance was the best compared with the black base. 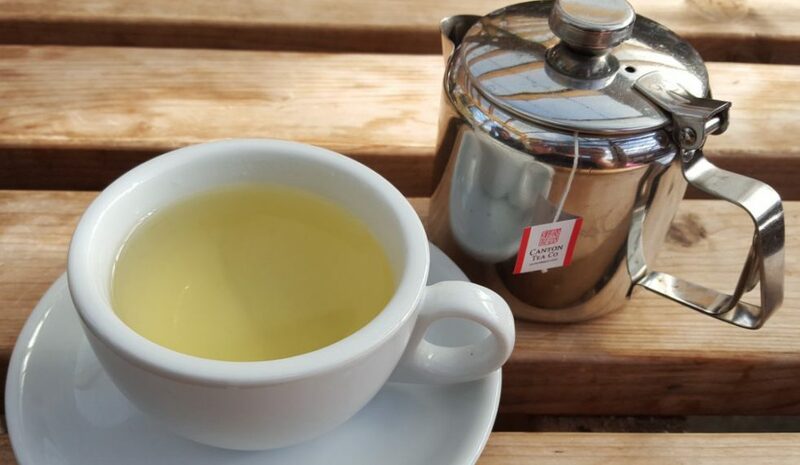 When this tea says it’s sweet I can assure you they were not kidding! It’s overly sweet and ended up being undrinkable. On top of that the cinnamon and clove overpowered the other ingredients, ending up being similar to a Christmas tea. 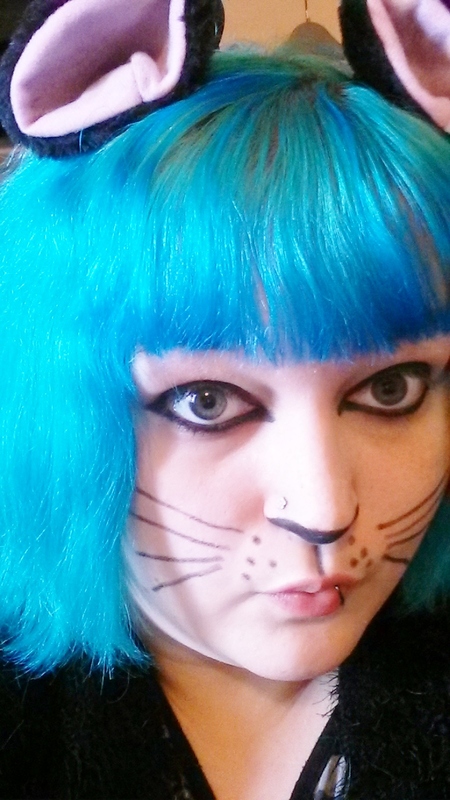 This is KittyLovesTea wishing you all a very Happy Halloween. Those bat sprinkles are adorable. I was really sad Della Terra did not bring back their Blueberry Boo from last year with its awesome little ghosts.